I wish...I wish...oh I wish I had some dry aged beef carpaccio topped with shaved Parmesan and arugula, and drizzled with some cold pressed extra virgin olive oil from Tuscany. Gasp! Thank you, Oiladdin! 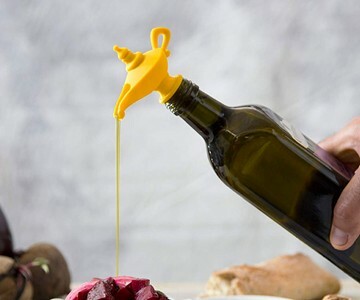 Well, for the perfectly-poured olive oil drizzle, anyway. I see you arrived without the beef, cheese, and greens though. Guess I'll need to conjure up my good neighbor State Farm agent for that. 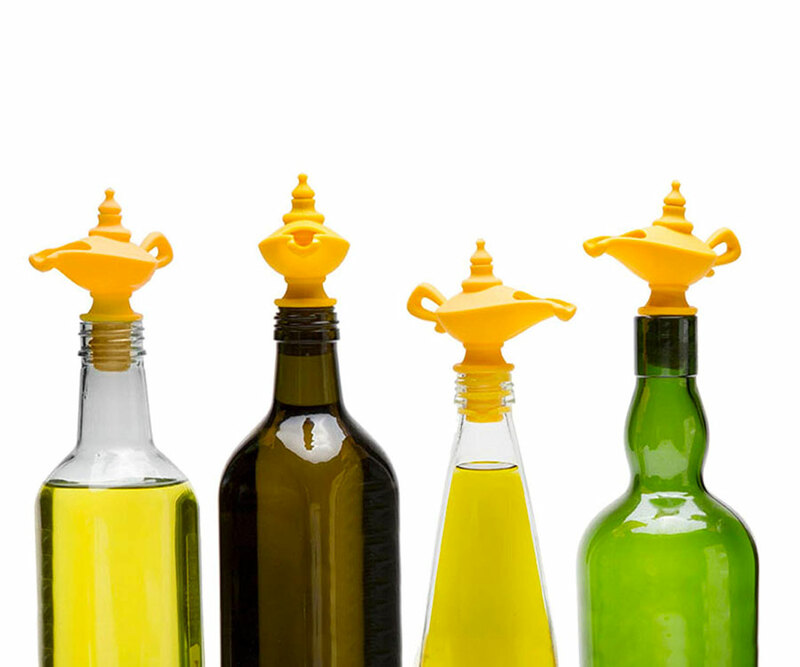 The Oiladdin is an Aladdin-style silicone lamp that screws in to most oil (or vinegar, or soy sauce) bottles to create a clever-looking pour spout and stopper. 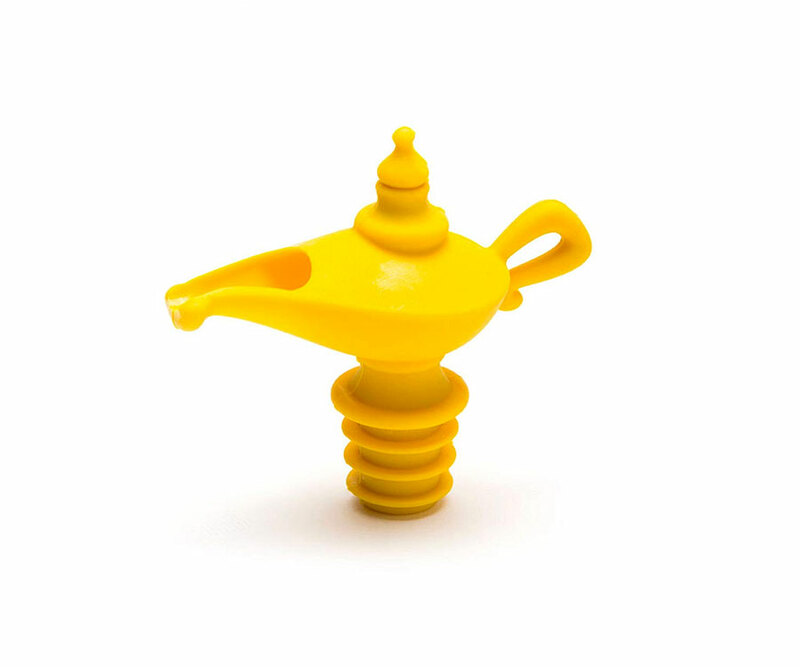 Take away the whole genie-in-a-lamp myth, and the Oiladdin still makes a clever play on the literal use of this Middle East design, which is intended to hold oil. Albeit oil lit for illumination, rather than poured onto salad and bread.